I made one of these wonderfully simple and effective felted iphone cases for my daughter’s phone, and it was such a success that I’ve decided to make them to sell. 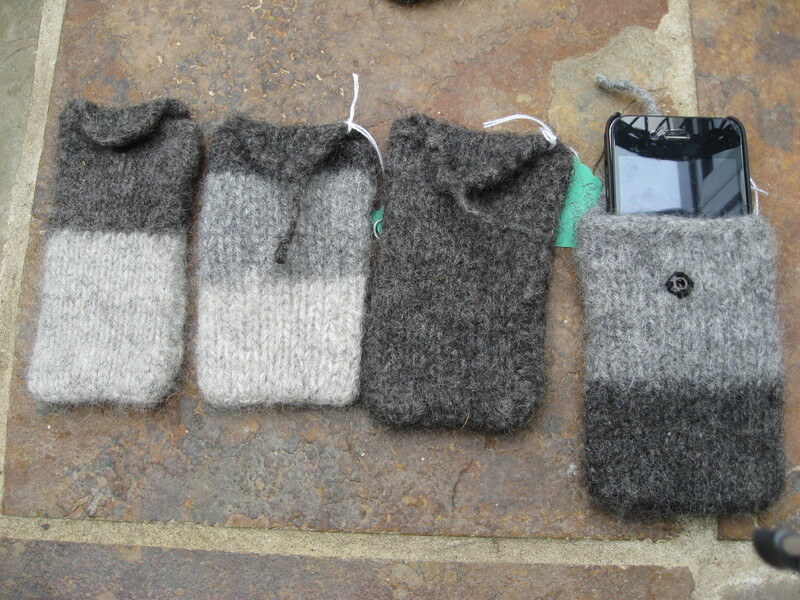 These beautifully soft 100% gotland wool cases are hand knitted and then washed so that the wool felts. 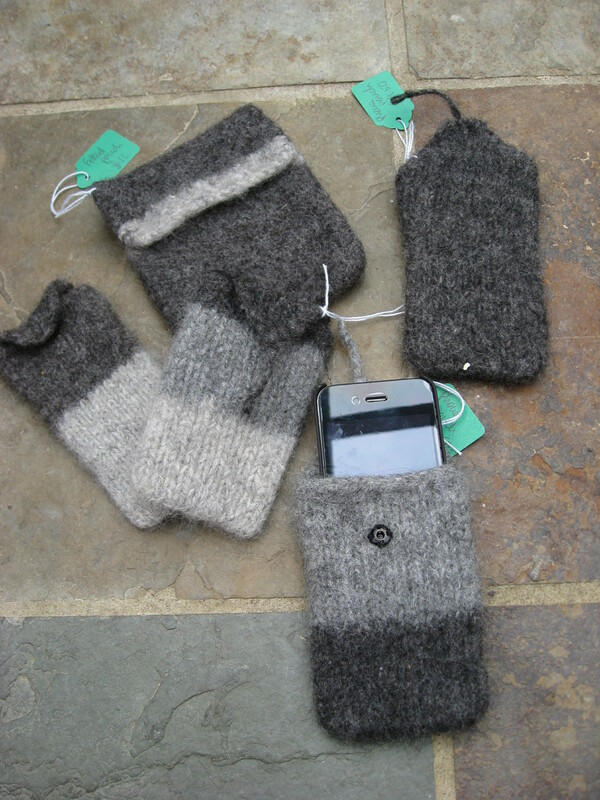 They’re made to fit snuggly over the iphone with a popper fastener. Because they’re handmade they all vary slightly in the shape and pattern, but if you contact me with details of your phone, I’ll make sure it fits. 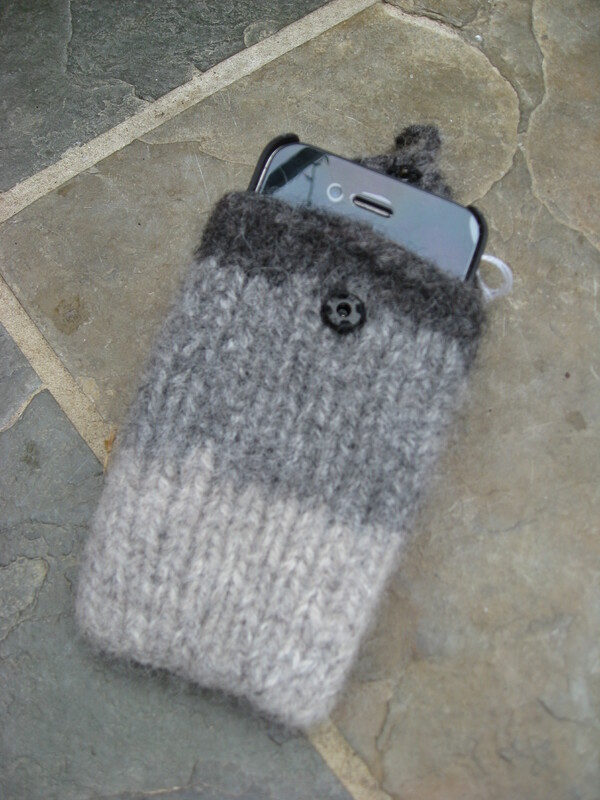 I can also make these to order if you don’t have an iphone – in any colour or pattern – as long as it’s a shade of grey!